Pro-amnesty activists trying to co-opt the civil rights messages of Dr. Martin Luther King, Jr. to push immigration reform through Congress seem to be directly contradicting the wishes of the late Dr. King and his wife, Coretta Scott King. 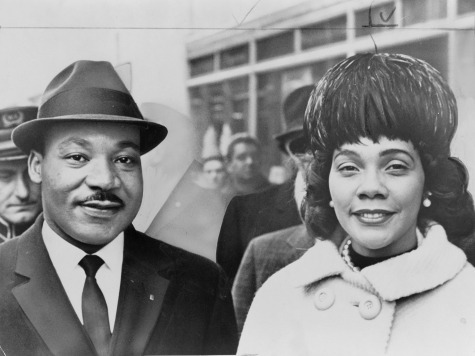 Mrs. King carried on her husband’s civil rights activism after he was assassinated. In a 1991 letter to Sen. Orrin Hatch (R-UT), Coretta Scott King and other black community leaders argued that illegal immigration would have a devastating impact on the black community. At the time, Hatch was working his U.S. Senate position to undo some enforcement measures laid out in Ronald Reagan’s 1986 amnesty agreement, attempting to weaken interior enforcement and sanctions against employers who hired illegal aliens. We, the undersigned members of the Black Leadership Forum, write to urge you to postpone introduction of your employer sanctions repeal legislation until we have had an opportunity to report to you what we believe to be the devastating impact the repeal would have on the economic condition of un- and semi-skilled workers–a disproportionate number of whom are African-American and Hispanic; and until we have had the opportunity to propose to you and to our Hispanic brothers and sisters, what we believe could be a number of effective means of eliminating the discrimination occasioned by employer sanctions, without losing the protection sanctions provide for U.S. workers, especially minority workers. 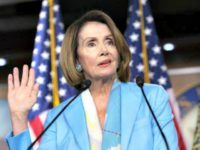 The black leaders wrote that they feared lack of interior immigration enforcement would lead to future illegal immigration, and the hiring of those illegal immigrants into jobs that could be occupied by black and Hispanic American citizens. America does not have a labor shortage. With roughly 7 million people unemployed, and double that number discouraged from seeking work, the removal of employer sanctions threatens to add additional U.S. workers to the rolls and drive down wages. Moreover, the repeal of employer sanctions will inevitably add to our social problems and place an unfair burden on the poor in the cities in which most new immigrants cluster–cities which are already suffering housing shortages and insufficient human needs services. The black leaders then called for education reform to train American workers for jobs, rather than immigration reform to bring in foreigners to fill those jobs while American workers suffered. 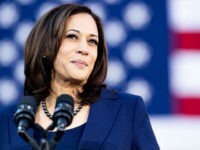 “Senator Hatch, we believe that what this country needs is not to prematurely scrap employer sanctions, but rather, we need education and training programs designed to prepare the unemployed, especially African Americans, Hispanics, and others at great risk, to meet the market demands of tomorrow,” they wrote.